All of the rectangular-canvas and stretched-paper works by Alejandro Jimenez-Flores hang in the ADDS DONNA space at one upper sight line. This installation peculiarity causes larger pieces, such as “Cosmos, Tall and Wiry,” a highlight of the exhibition, to hang below a familiar height and smaller works to perch oddly just above eye level. Jimenez-Flores uses floral pastel transfers and gestural painting, referencing historically privileged artistic genres, to pursue a casual beauty. By repurposing the goals of still life, the artist works against genre to address personal and moral obligations of identity through his daily experiences of intimacy, both platonic and otherwise. The heavy notion of simply painting flowers being a choice only afforded to the privileged aside, the everyday origins of the exhibition’s source material give the work its power of evocative affection. The works’ layered compositions resonate more when one learns that their sources are images sent to Jimenez-Flores in text messages from friends. For example, the heavy, pink and green marks in the foreground of the exhibition’s namesake, “Early Roses,” weights the abstractions in archived communication. These touch gestures appear again in the aforementioned “Cosmos, Tall and Wiry” in reds and blues reminiscent of the self-consciously limited color palettes of apps. 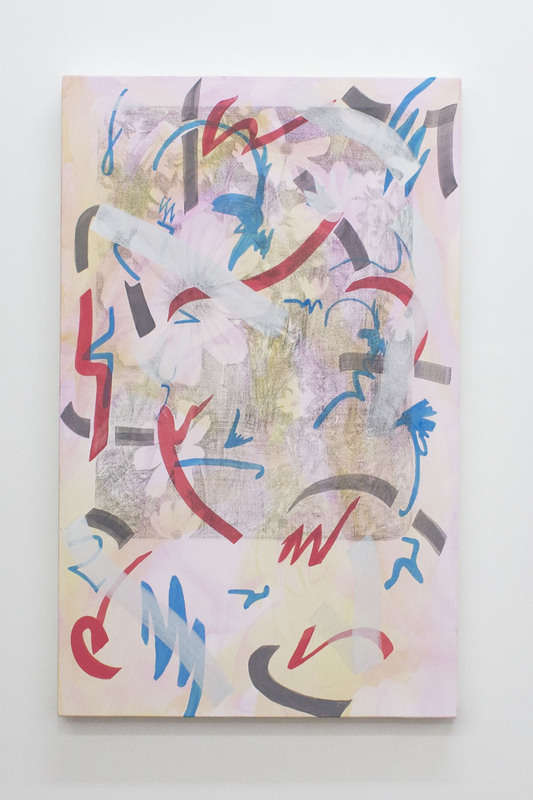 In four soft pastel works entitled “Hugs?,” “Nook,” “Left” and “Leaves,” the Abex phone screen finger flicks are absent, but the repeated image of lush, blossoming roses serve to isolate one component of the source material, while works like “play-ground” double down on color and movement, to say nothing of poetry. 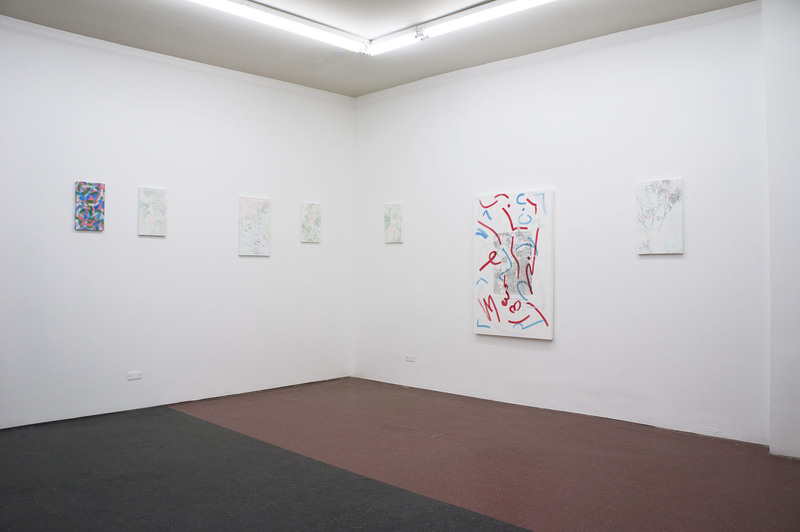 Alejandro Jimenez-Flores’ “Early Roses Filled with Late Snow” shows through March 4 at Adds Donna, 3252 West North.